Once you have got as far back as possible using BMD and census records, you will need to turn to Parish Registers for information. You will usually find parish registers at the local County Record office, or at websites like TheGenealogist.co.uk that offer searchable transcripts and original images. Parish records can extend your research back to the time of King Henry VIII. Most records go back to the 1600s, and some even go back to the 1500s. 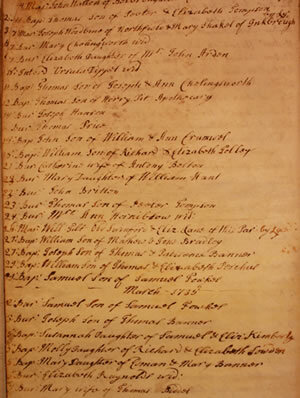 View our history of Parish Registers. These records can help you trace your family roots back through baptisms, marriages, and burials.